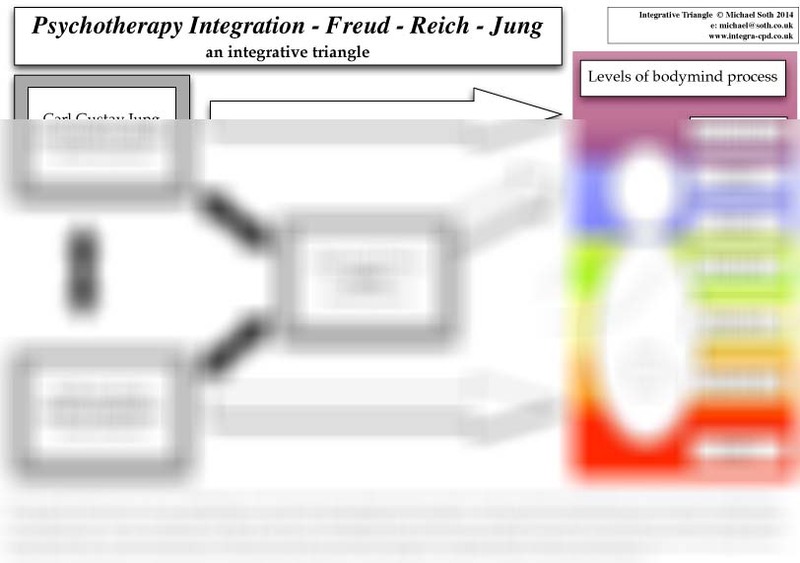 The notion of the client's conflict is foundational in all depth psychotherapy. 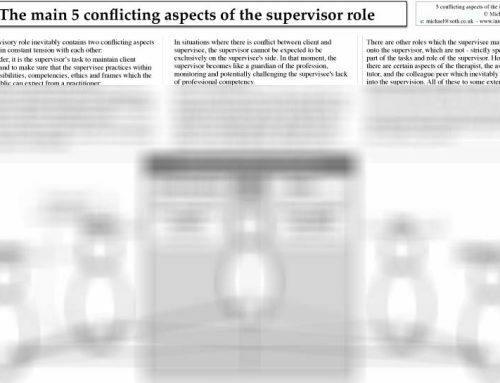 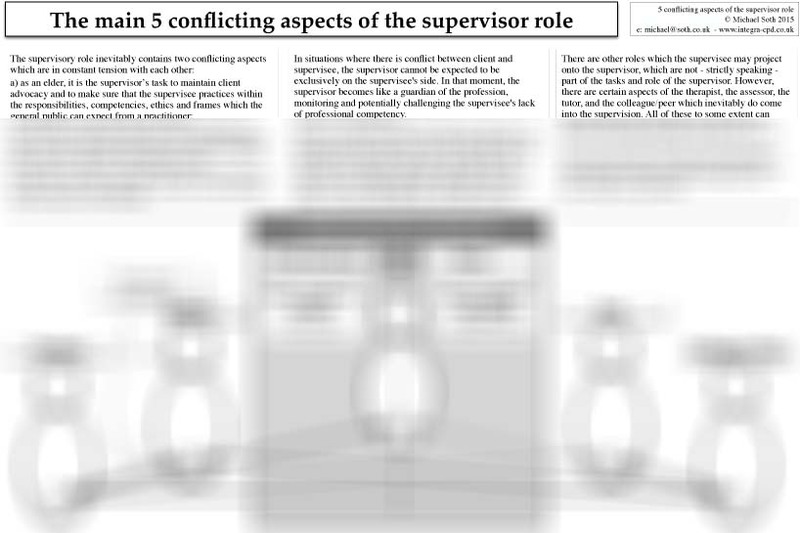 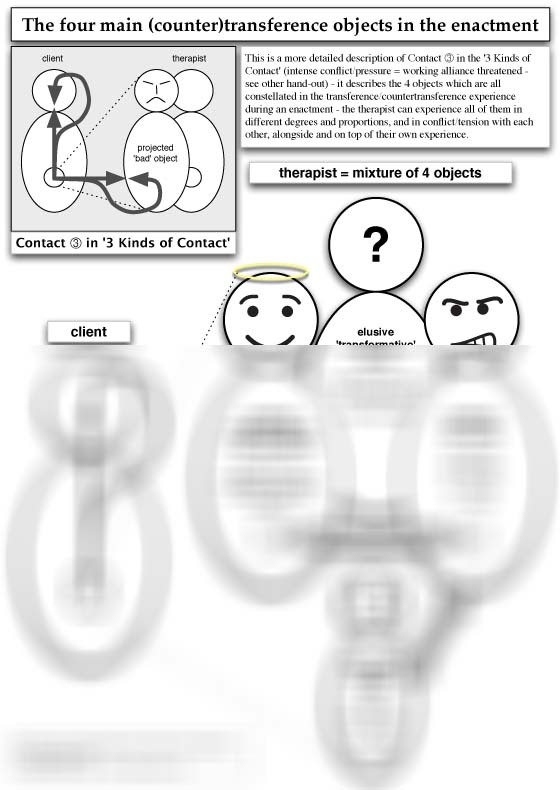 This hand-out here is a more evolved and updated version of the 1998 hand-out on the client's internal conflict. 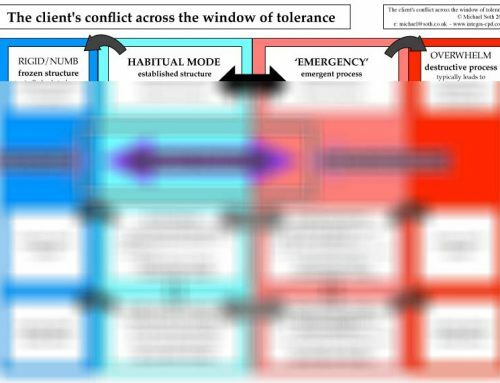 There is also a slightly more comprehensive and complicated version which relates this conflict to the 'window of tolerance'. 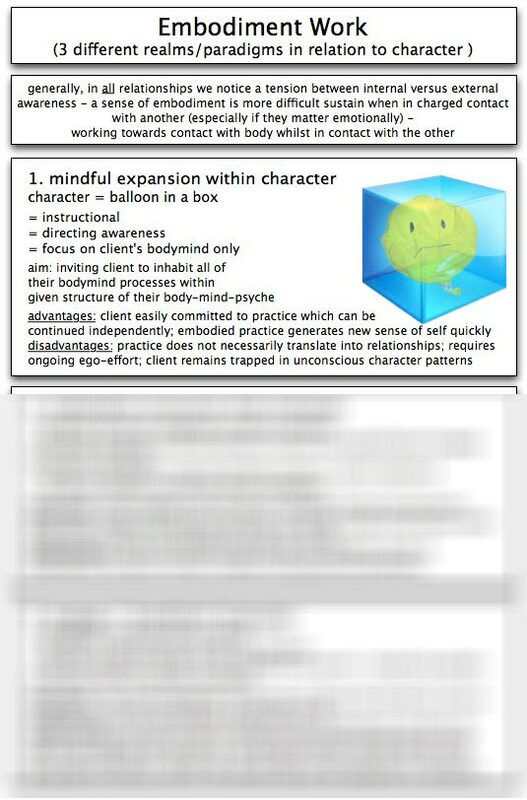 There are many ways to language and conceptualise the client’s internal conflict (Freud’s Id-Ego-Superego, TA’s Child-Adult-Parent, object relations theory, sub-personalities etc. 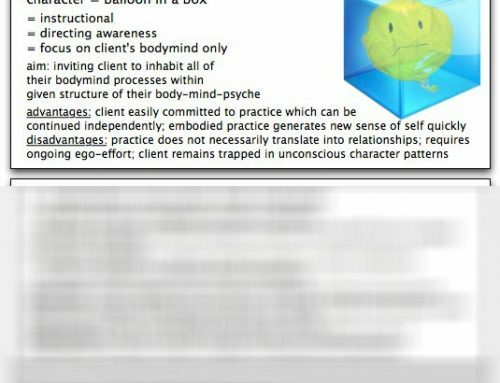 ), and over the years I have tried to find a formulation which speaks to therapists from across the traditions, helping us towards an integrative appreciation of the vicissitudes inherent in the therapeutic position vis-a-vis not a monolithic individual [remembering that the word 'individual’ literally means undivided], but systematically opposed and conflicting parts or polarities. 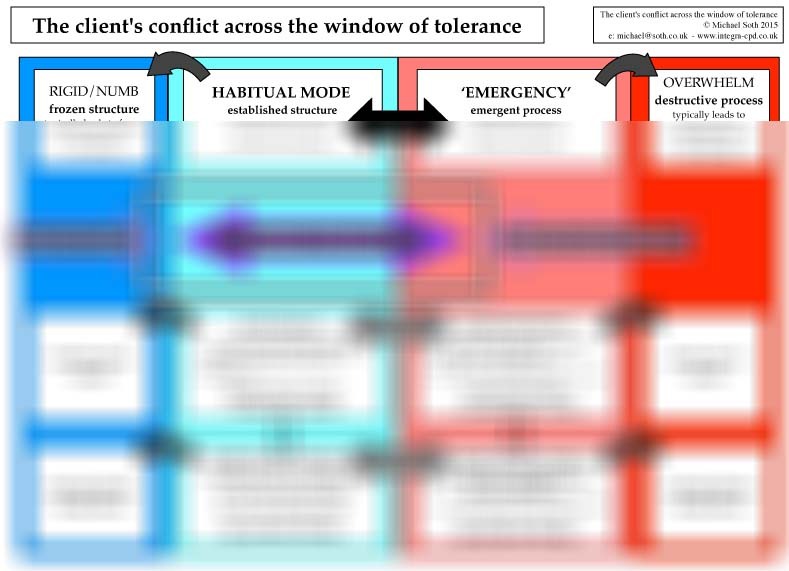 Developmental depth psychology assumes that these conflicts are chronic and largely unconscious, habitually frozen and structured into a person's personality and identity. 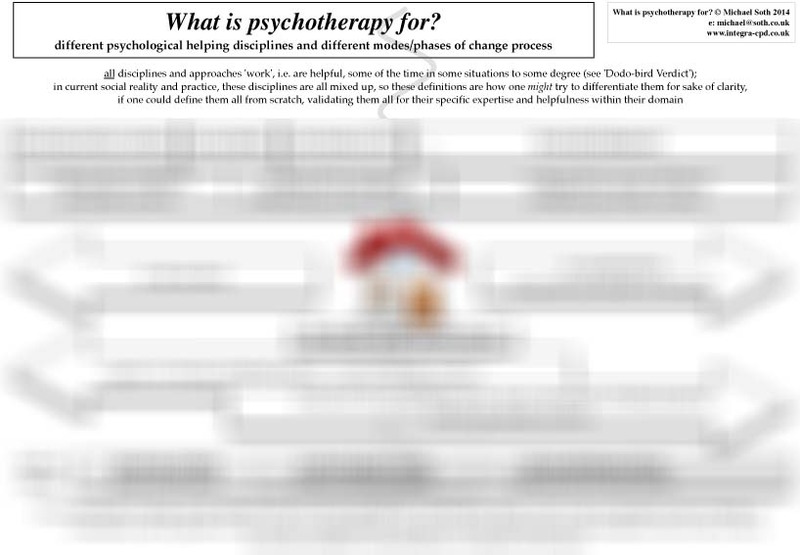 Because the client cannot help but approach therapy - the way they approach much of life - through their wounding, through the lens of the pain and their defences against it (see: The wounding enters) - the client's conflict implies two opposing constructions of therapy (i.e. 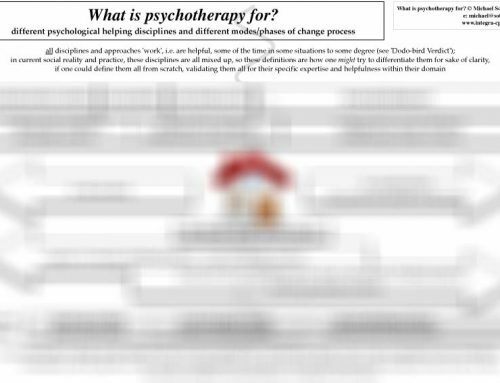 two mutually exclusive versions of therapy - which then immediately becomes a dilemma for the therapist, too - see: The client's conflict becomes the therapist's conflict). 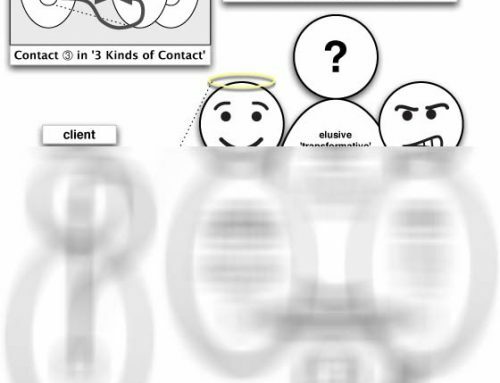 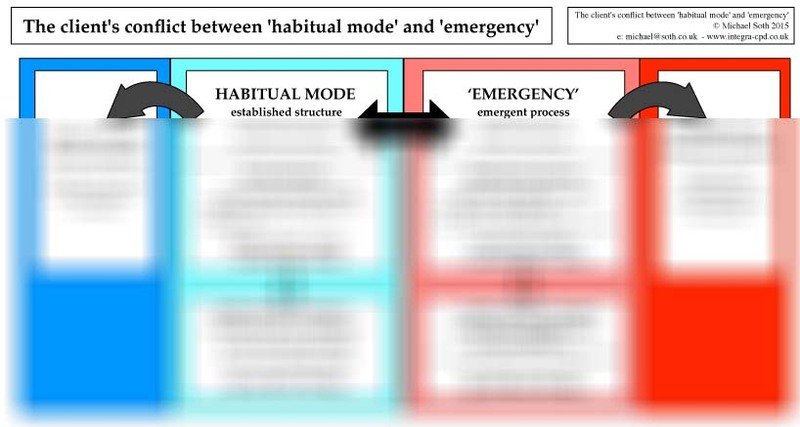 The best and most generic formulation I have been able to find is to conceptualise the client’s internal conflict as occurring between their 'habitual mode' and their 'emergency' [rooted in the early Gestalt formulation of the conflict between 'acute high-level emergency' and 'chronic low-level emergency']. 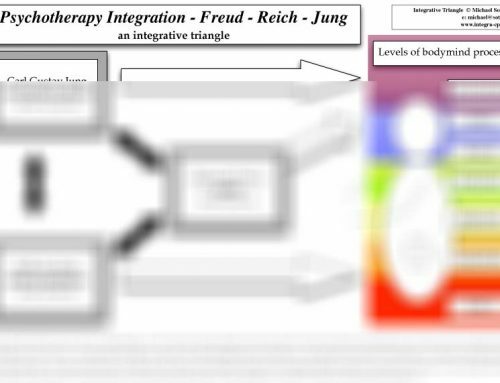 I have been using this formulation in my teaching since the mid-1990s, but this version of the hand-out makes the therapist's dilemma more obvious.